When travelers come here, they can gain a lot of historic knowledge through stones. Ta Prohm Temple is 1,000m in length and 650m in width and composed of 37 small and huge towers. This temple is regarded as a power symbol of nature. It is an unfettered and magical nature power. The monstrous foots of huge thousand –age trees go through the walls or the roofs of the ancient towers. Even, they cover these towers to produce the surprising images. Sometimes, these roots can make visitors feel it is natural masterpiece. Besides enjoying the nature, travelers can learn more about history and arts through the architecture of the towers. 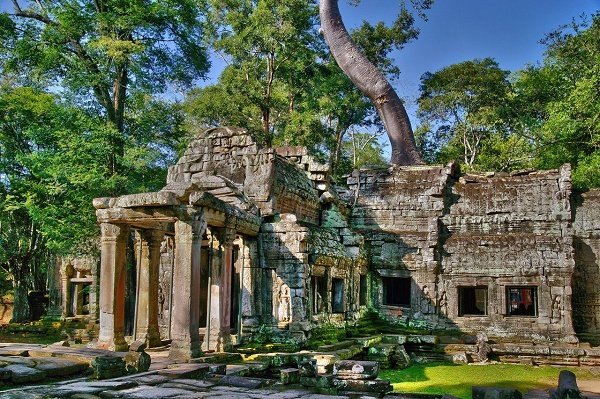 Although Ta Prohm is partly damaged by the trees and the time, you can explore the hidden secret in the wall of towers, corridors or gems of stone. 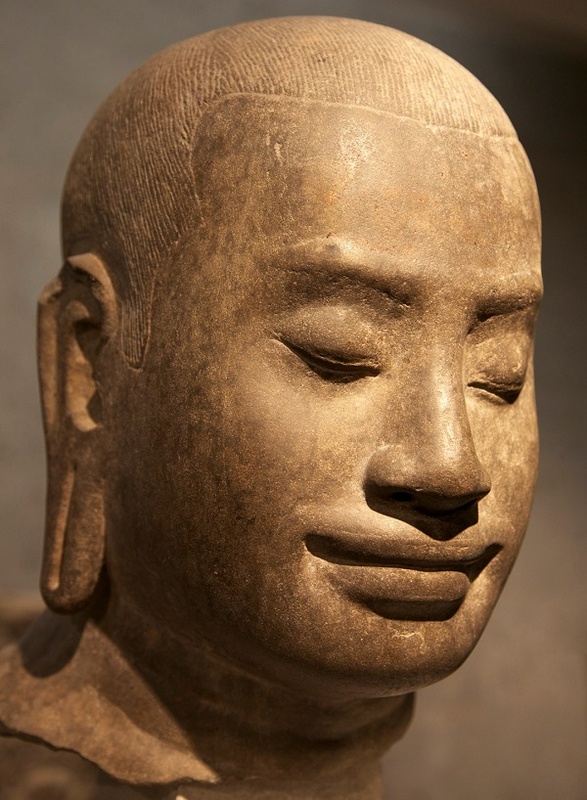 That Javavarman faces were carved is very impressive because it is a skillful sculpture. 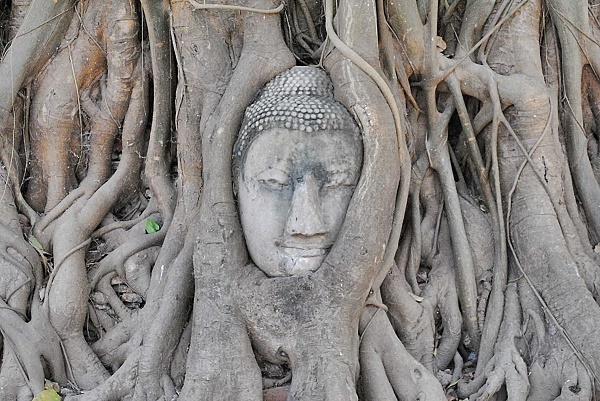 There is an unexplainable that the roots avoid going through these face. Some people think about the spirit. Despite of its strong destroying power, the nature perhaps respect human. If going deep into the temple, the atmosphere gets more fanciful and mysterious. You can feel like that you are on adventurous trip to discover the past and the nature. Your saying can create the voice from the stone wall when you speak. Remember to take care if you want to discover more this temple. Do not forget to take some photos to keep the memorable moments when you discover this temple. 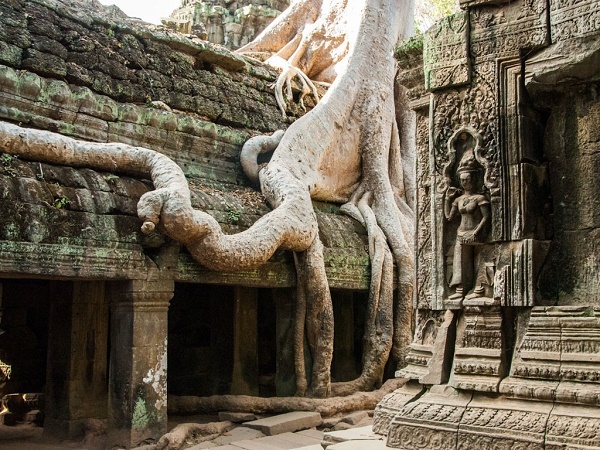 When arriving at this temple to make a famous film Lara Croft: Tomb Raider, Angelina Jolie – a female Hollywood actor used the words “devastated” and “tremendous power of nature to describe Ta Prohm. Whether you have the same feeling or not is a question you yourself answer. Let’s go.